toys-toys-toys.co.uk: Who invented the Rubik's cube? The Rubik's Cube: Created by Ernő Rubik; a Hungarian sculptor and Professor of architecture. From simply being a small invention to becoming the German Game Of The Year in 1980, the Rubik's Cube will always go down in history as the puzzle sensation! Over the years many have attempted to achieve 'world records' to match up each cube with the correct colour under a certain time limit. Ronald Brinkmann holds the World Record at the West German Championships in 1982, completing the cube in an incredible 19 seconds. The game is very time consuming but also challenges a persons patience, focus and above all; colour coordination. During World War 2, Ernő Rubik was born in Budapest, Hungary on July 13th, 1944. His father was a flight engineer and his mother, a poet. Ernő graduated at the age of 22 from the Technical University, Budapest Faculty of Architecture. He then went on to do postgraduate studies in sculpting and interior architecture. 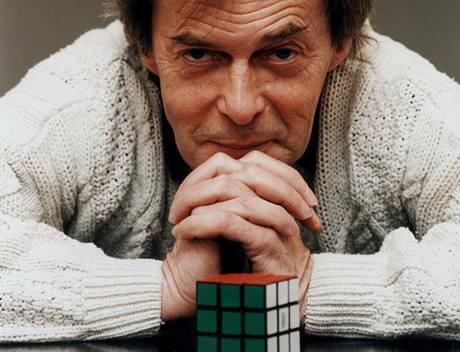 After his Rubik's Cube creation becoming a global phenomenon in 1974, Ernő Rubik then went on to design and create his own furniture and games, becoming self-employed in 1983 and founding the Rubik Stúdió. As his inventions grew so did his future; becoming the president of the Hungarian Engineering Academy in 1990 and created the International Rubik Foundation to support talented/aspiring young engineers and industrial designers. Other inventions include: Rubik's Magic, Rubik's Magic: Master Edition, Rubik's Snake and Rubik's 360. The Rubik's Cube is definitely a must have for all ages. The famous cube has now been made into key rings, mugs and fancy dress costumes! Throughout my childhood attempting to do a Rubik's Cube was never really my strong point! However, It's definitely something I feel every child should experience.